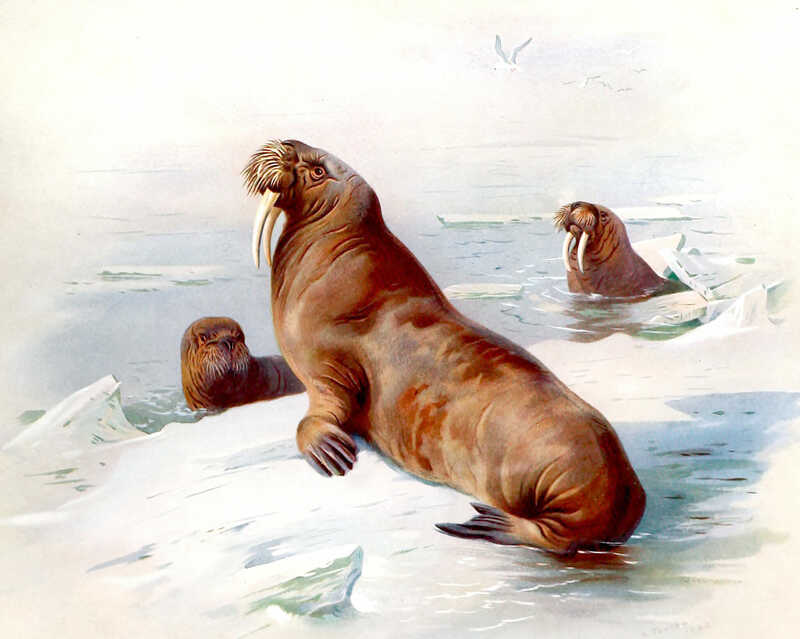 A beautiful vintage book illustration of a walrus. From the antique out-of-copyright book, “British Mammals”, by Archibald Thorburn. Published in 1920.